What is a Self-Expiring Visitor Badge? An enterprising company, TEMPbadge, patented a technology they call Visually Changing Paper or VCP. When this coating is applied, the badge reveals a message such as the word �void� across the face or changes color after a certain amount of time. You activate the VCP at issuance, and a chemical reaction causes a visible alteration to a visitor badge so you can immediately identify a voided badge. These self-expiring badges come in a range of expiration times from as little as 4 hours to as long as 30 days. Expiring badges can be filled with visitor information in a couple of different methods: manually written on the face, thermal printed, or inkjet or laser printed. They also come in a variety of attachment methods, from adhesive-backed to PVC cards that can be clipped to lanyards. Visual security is the top reason to use a self-expiring visitor badge. If you have visitors whose admission to your facility is only valid for a short period of time, the easiest way to see who belongs and who don�t is with a visual identifier that anyone can immediately notice. 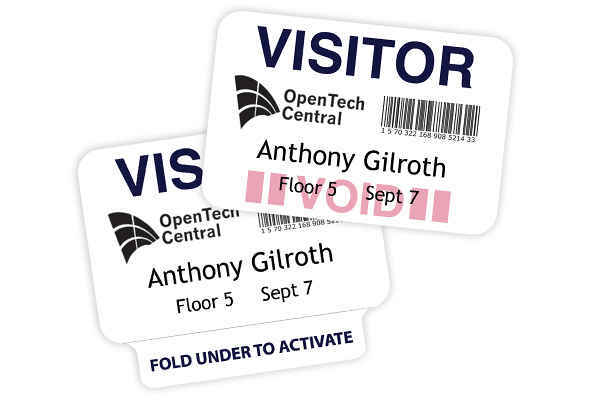 When your visitor badges change color or the word �void� shows across the front, it�s readily apparent to all when someone shouldn�t have access. Imagine visitors to a convention who pay a variable rate depending on how many days admission desired, or visitors to a school who are only cleared for a half-day. Self-expiring badges eliminate the risk of a badge being reused for any purpose or given to someone else to use who hasn�t been cleared by your security personnel. 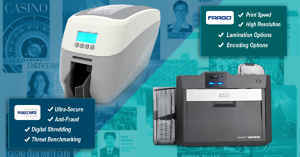 Ease of use will make your front desk or security people happy. These self-expiring badges are simple to activate and require nothing more from your personnel after issuance. There�s no need to track down visitors to make sure they return their security badges at the end of their visit. Self-expiring badges are readily available, easily issued, and disposable at the end of the day, making managing visitors more streamlined and less time intensive than other methods of identification. 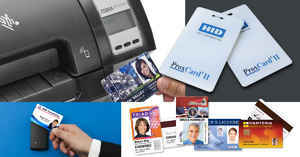 Affordability makes self-expiring visitor badges an attractive solution to your visitor management system. You don�t need to purchase a complex system and there�s no need for specialized training for your employees to be able to issue a visitor pass. 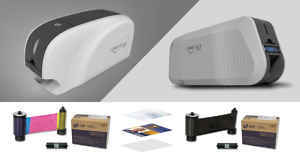 Since the passes are disposable, they cost a fraction of the amount a PVC card system with a printer and software would entail, making them both time- and cost-effective. IDSecurityOnline gives you options for your self-expiring visitor badges. 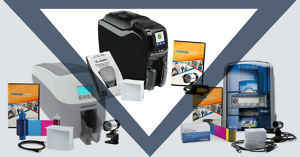 With hundreds of products available to meet any need, you can choose from self-expiring badges, security seals, parking permits, and even wristbands that can be designed specifically to your facility needs. 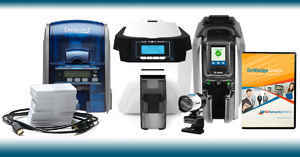 Click here to browse our comprehensive selection of solutions. Or if you�d like personal assistance, call one of our experts today who can guide you to the best solution for your visitor management needs.